Atacama Large Millimeter/submillimetre Array (ALMA) image of dual rings of DCO+ encircling the star IM Lup. 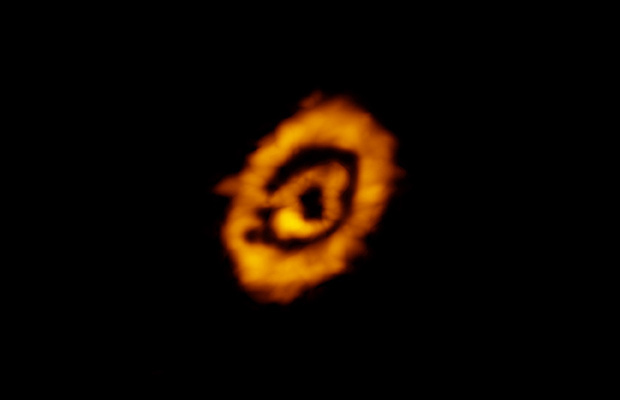 The rings reveal details about the conditions of this young protoplanetary disc. The existence of the outer ring was surprising, providing new insights into the formation of heavy molecules — those based on deuterium — in this and other similar systems. Image credit: K. Oberg, CfA, et al. 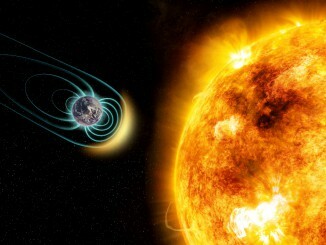 ; ALMA (NRAO/ESO/NAOJ); B. Saxton (NRAO/AUI/NSF). 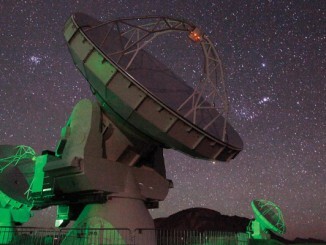 Astronomers using the Atacama Large Millimeter/submillimetre Array (ALMA) have discovered two spectacular rings of molecules encircling the young, Sun-like star IM Lup. The rings are made up of one of the most common heavy ions (charged molecules) in space, DCO+ (deuterium, carbon, oxygen). In this molecule, deuterium has replaced the normal hydrogen atom of HCO+ in a process known as hydrogen-deuterium exchange. The presence of a DCO+ ring nearest to the star, the astronomers note, comes from the right combination of low temperatures and abundant carbon monoxide (CO) gas, which is essential for the formation of DCO+. Closer to the star, conditions are too warm for DCO+ to form. Further out, the entire reservoir of CO freezes out, forming a layer of ice on dust grains and planetesimals. The presence of the outer ring implies that farther and farther from the star it not only gets colder and darker, as would be expected, but it also hits a point where the disc density is so low that some light from the host star can penetrate down to the midplane of the disc. This replenishes the reservoir of CO gas and restarts the production of DCO+. 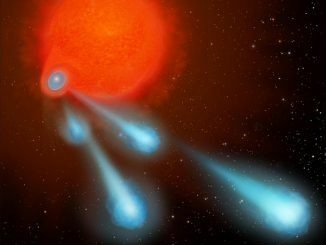 Heavy, deuterium-based molecules can thus form in more places around young stars than previously thought. This increases the utility of these molecules to tell us about the history of both our solar system and other planetary systems in the making.